Description from the Brewery: A pale straw colored beer with a bold, spicy Saaz hop aroma. 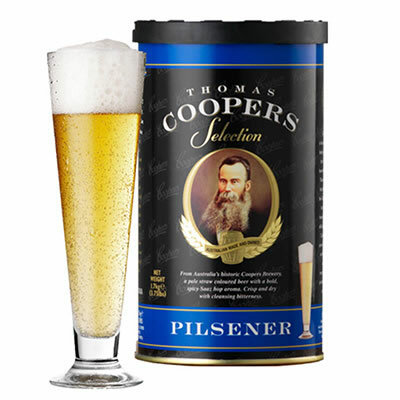 Crisp and dry with cleansing bitterness.Thomas Coopers Pilsener is made from premium 2 - row pale malt and barley, bittering hops and a generous amount of aromatic Saaz hops. Fermentation with the true lager yeast, supplied, at temperatures below 20c will produce an excellent example of the pilsener style. 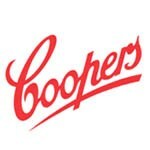 These coopers kits come from an actual brewery. They do not need to go through a boiling process like most home brewing kits because they are sanitized and hops are added at the brewery. This makes it one of the simplest and easiest kits to make. Because they come from the brewery the quality of the beer is also very good. 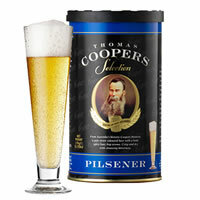 Below is an article by the importer of Coopers beer kits that you may find interesting. Just click on the blue links below: Do I need to read the directions? NOTE: These Can Kits need a Fermentables Kit to properly brew. All “Can Kits" need this addition to properly brew. The “Kit” consists of one pound of dextrose (corn) sugar and one pound of light dry malt extract. We highly recommend this addition on all can kits.